In addition to Theionarchaea, this new paper that appears in ISME Journal also details a variety of archaeal genomes there were obtained from the White Oak River Estuary in North Carolina. This digram summarizes the ecological roles we have inferred from these genomes. This is important because NONE of these lineages have been grown in a laboratory, so having their genomes has significantly advanced our understanding of what they do in nature. Introducing Asgard! 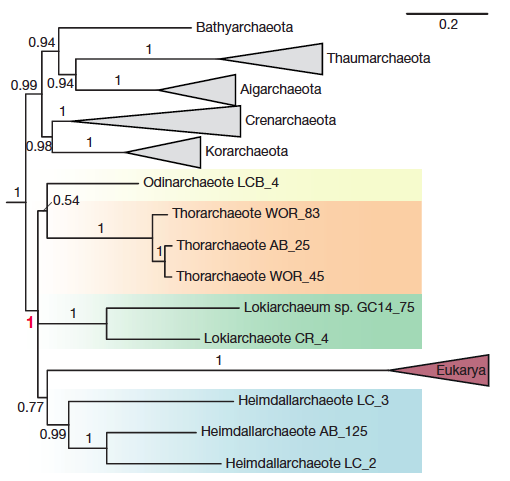 A new superphylum of archaea that are related to eukaryotes. This week our new paper describing the discovery of 4 archaea phyla that are related to eukaryotes was published in Nature. These phyla are belong to the same branch of life and have been named after different Norse gods, Thor, Odin, Heimdall, and Loki. This is a collaboration with Thijs Ettema’s lab in Sweden. Last year we published the discovery of Thorarchaeota in ISME. 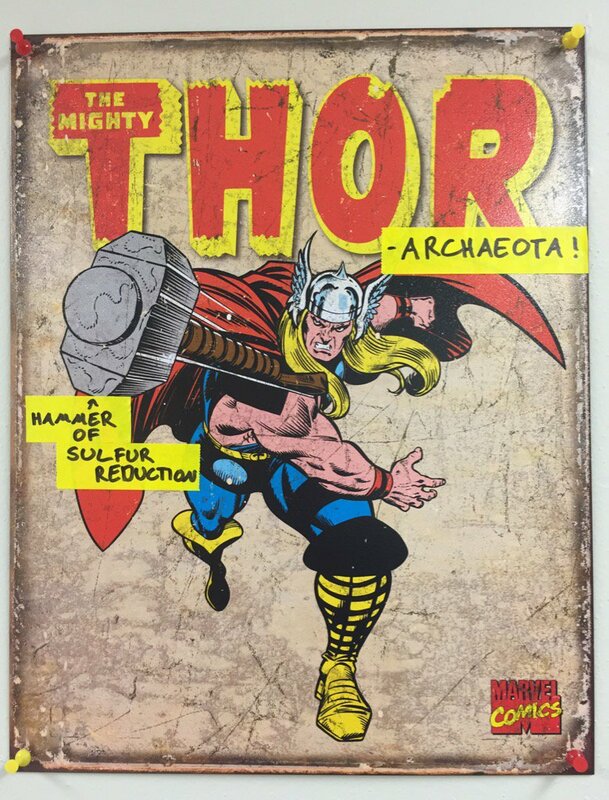 This paper adds 2 additional phyla, Odinarchaeota and Heimdallarchaeota. 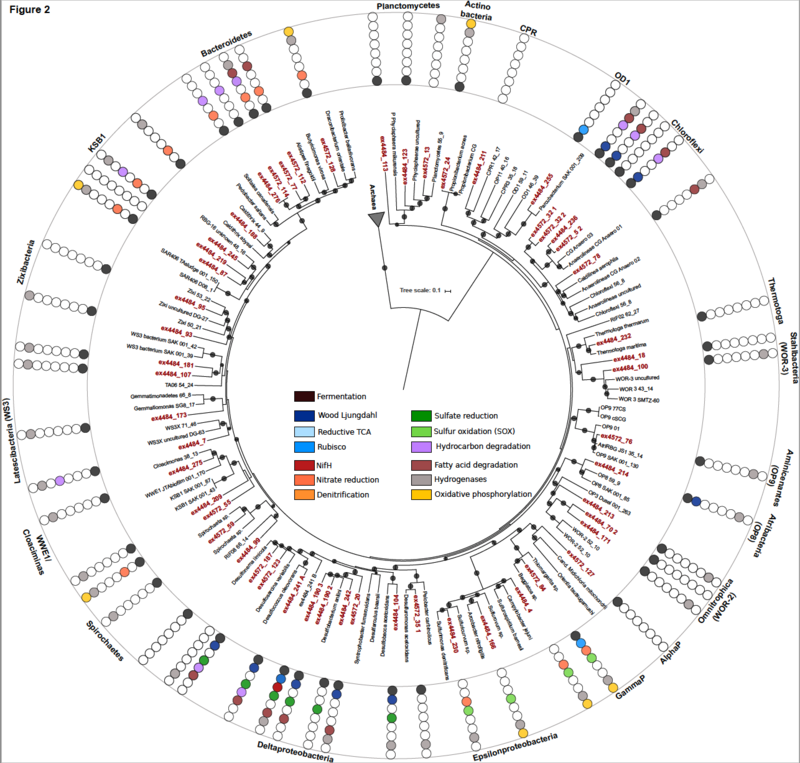 The focus of this paper is further resolve the phylogenetic position of eukaryotes in this new superphylum. 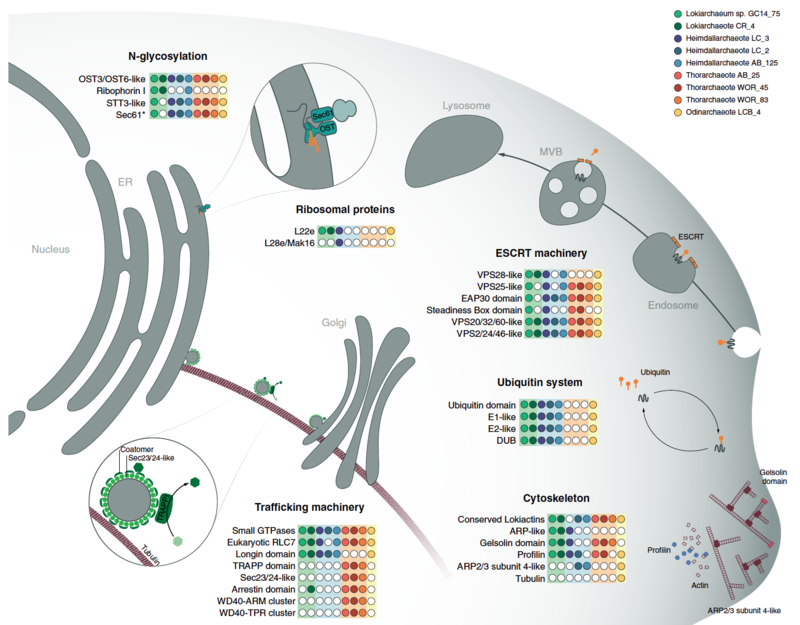 It also examines the presence of several new ESPs or eukaryotic signature proteins. These proteins were mostly thought to exist in eukaryotes, but these genomes contain a variety of them! A nice News and Views article about our recent publication in Nature Microbiology. DNA-SIP metagenomic experimental strategy for the identification and characterization of hydrocarbon-degrading microorgansims from DWH oil spill deep-plume and surface-slick samples. Welcome new summer research undergraduate student (REU), Roy! 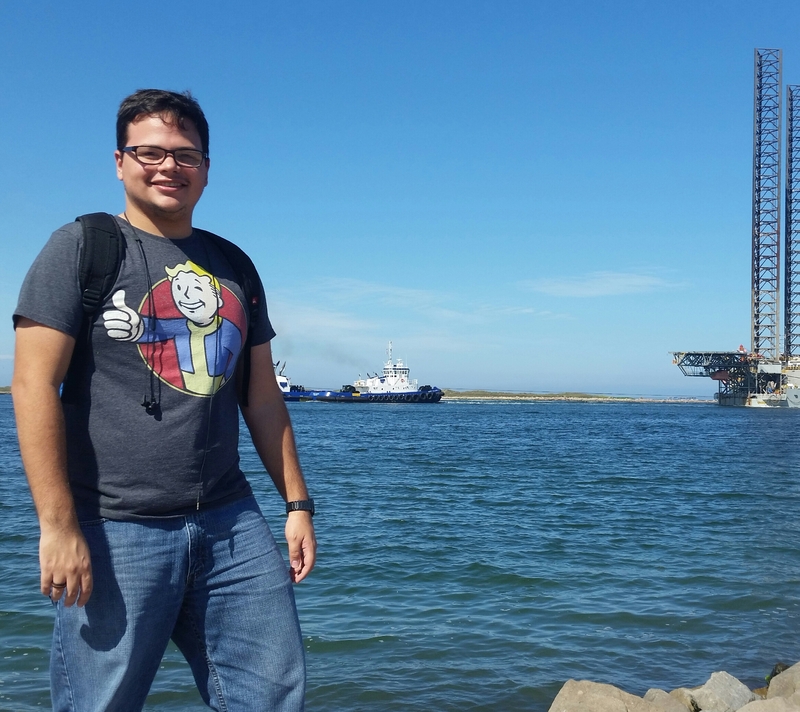 Roy Rodriguez Carrero has joined the lab as an REU student for the summer. Roy is doing some exciting work looking at the diversity and metabolisms of deeply-branched Archaea in the estuaries in south TX. Through a collaboration with the Teske Lab (UNC) and Tony Gutierrez my 2015 REU student and postdoc (Nina Dombrowski) reconstructed several genomes from DNA-SIP experiments run on DWH spill oil in 2010. 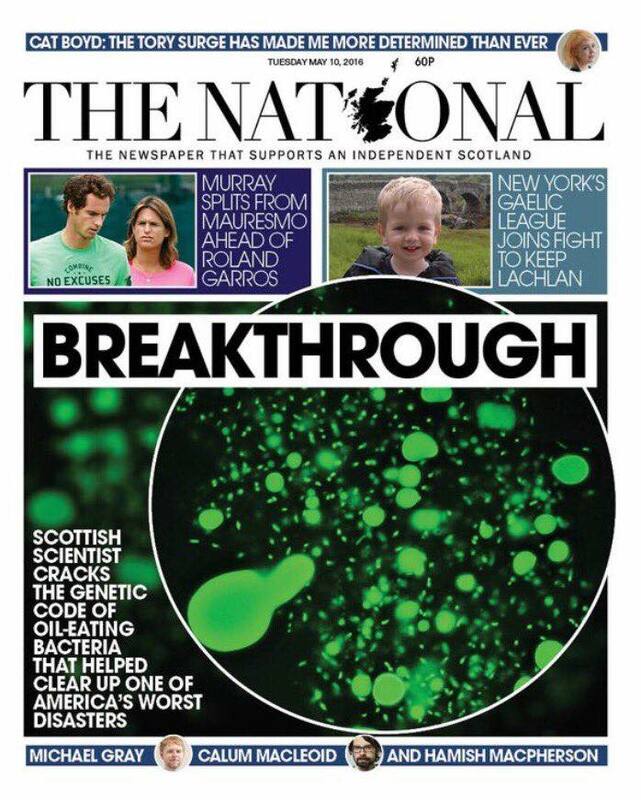 This cover of The National from Scotland. The new Tree of Life! 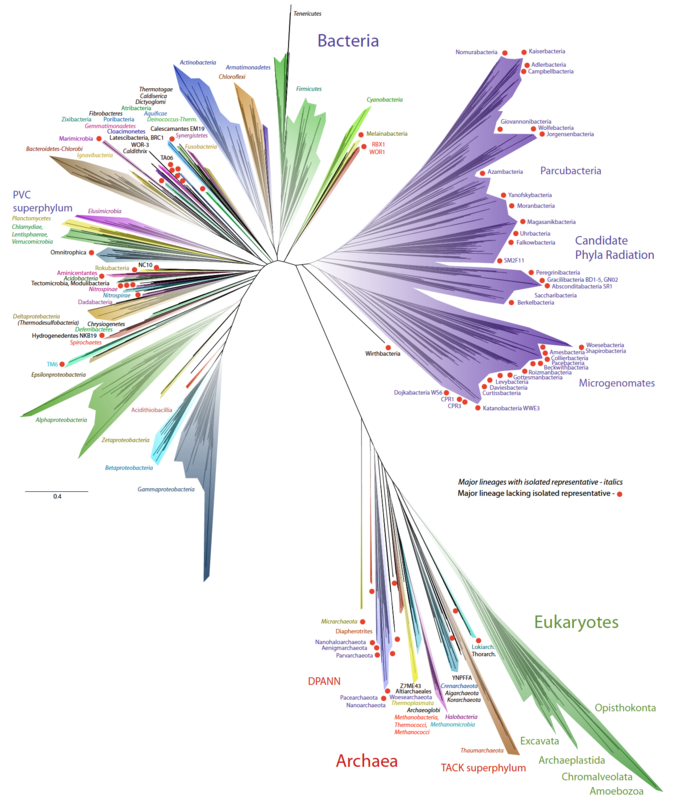 The rapid sequencing of new microbial genomes in recent years has left us wondering what has all this new data done to the tree of life. To address this, a new paper that presents the new view of life diversity in the genomic era has just been published in Nature Microbiology. This paper is a collaboration with many people namely Laura Hug and Jill Banfield (at UC Berkeley). Thanks to the Alfred P Sloan Foundation for the generous fellowship! 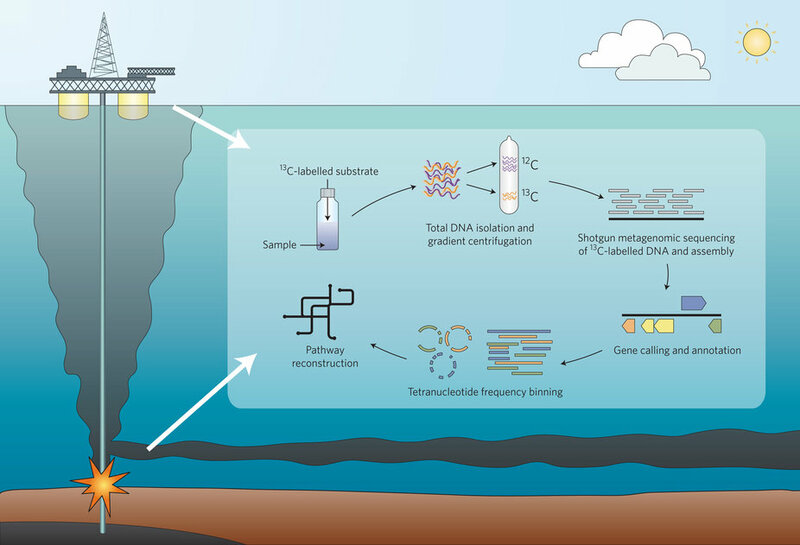 The genomes of SAGMEG, a widespread deep subsurface archaea, decoded! 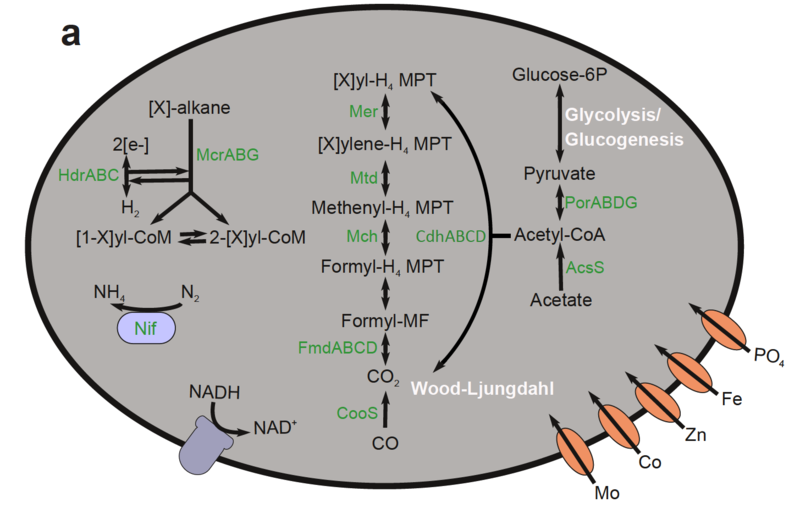 Our new paper published in Nature Microbiology, which was a collaboration with the Ettema Lab (Upsalla Univ), and Teske Lab (UNC Chapel Hill), begins to resolve the metabolic capabilities of a group (class) of Archaea (referred to as SAGMEG) that are predominant in the subsurface and have not cultured. 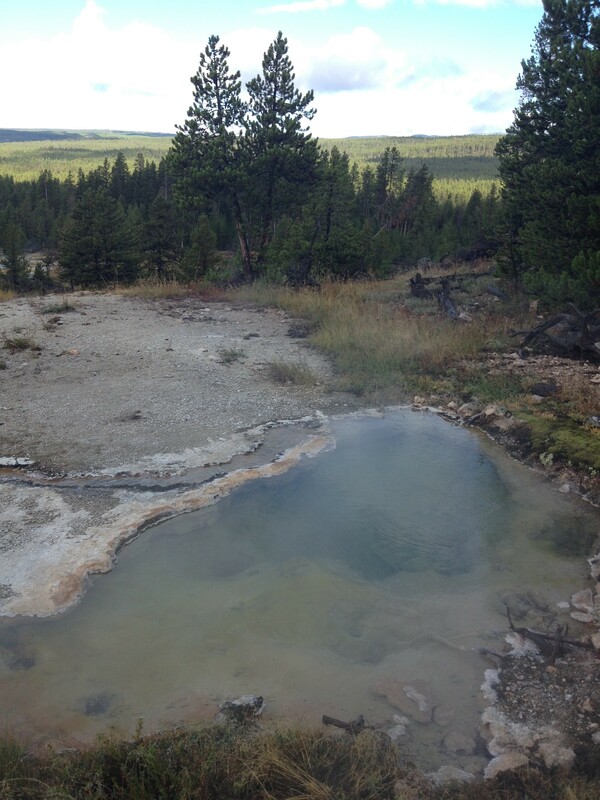 Two of the genomes were recovered from this hot spring in Yellowstone National Park (photo by Dan Coleman). Press releases about this article. Scientists discover new microbes that thrive deep in the earthEurekAlert! 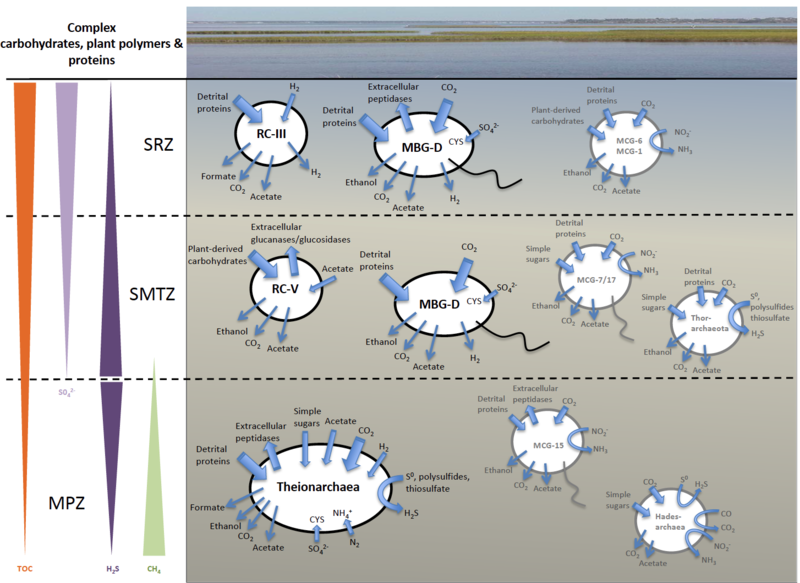 A deeply-branched widespread new group of Archaea whose genome were recovered from estuary sediments, but are in sediments around the world. Read about their physiologies in this first paper in ISME J. 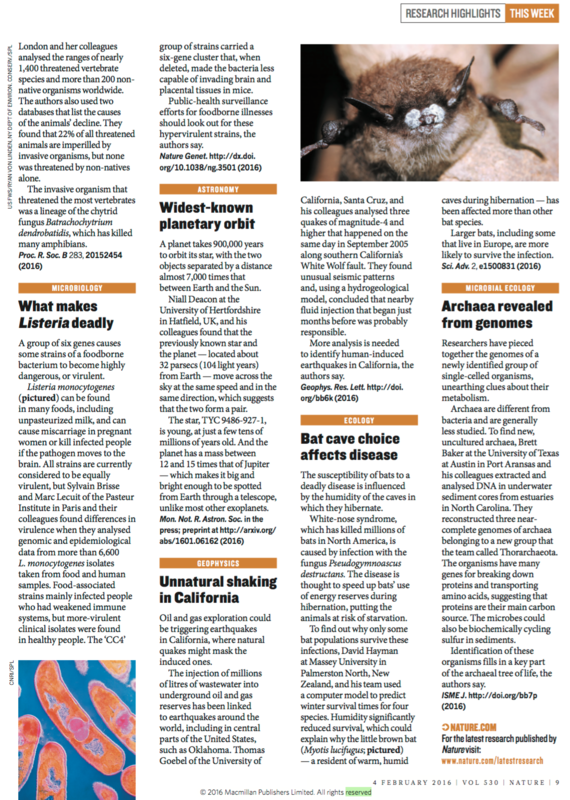 This paper was highlighted in Nature as well.